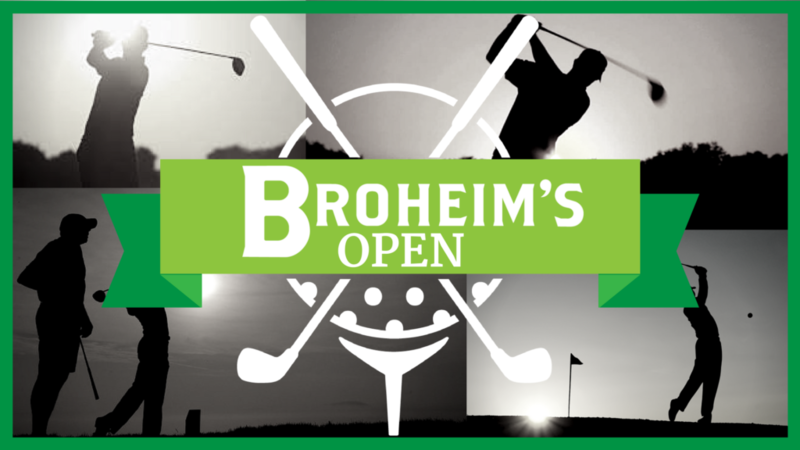 Included in player registration is a closest to the pin competition the night before starting at 7pm August 30th at Broheim’s Indoor Golf & Pub during a social hour. Each team will compete in a closest to the Pin contest. The goal of the contest is to get the shortest agregate distance over 4 holes. Each player will receive 5 swings per hole. The top five teams with the shortest agregate distance will recieve a stroke to remove from their score on the top 3 handicap holes at River Valley. The Social Hour on August 30th will feature drink specials: $2.50 Domestic Draws and Bottles. $3 well Cocktails. $4 Craft Beers. Call to book early morning tee times! © Copyright 2019 Broheim's Golf. All Rights Reserved. We are currently experiencing issues with our online booking. If a date appears as unavailable, please call.